Cake Classes = Free Apron! Attention cake students: We’re starting a new incentive where if you have taken more than 5 classes with us you’ll receive a fancy certificate of completion and a free Amanda Oakleaf Cakes apron (hand-sewn by us). View our complete list of classes on the learn page of our website. Also note that we will be taking the month of August off of teaching classes. Stay tuned for our list of classes to start again in September. 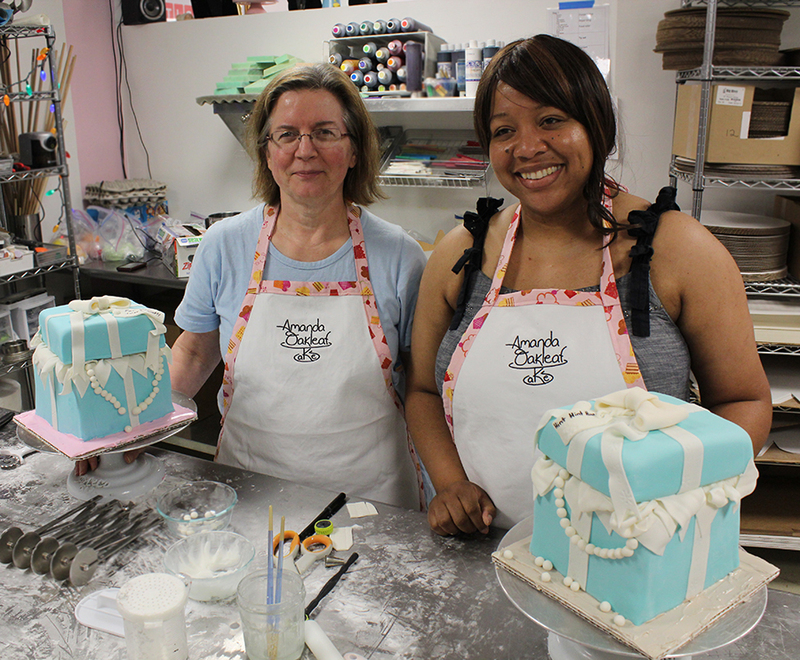 Congrats to Lynn and Tricia who’ve taken all of our cake classes! I love your site and would love to take your classes. Do u have something for ten days between August 25th to september 10th? We will be adding new classes soon. Keep checking http://learn.oakleafcakes.com/classes for updates! Would we learn how to actually bake a cake or just decorate one?